This weekend there is some extended family in town, and they are all going up to Mt St Helens. I have plans already made (of which I am so excited for). So unfortunately, I wont be able to go with them. I am a bit bummed, since I never miss an opportunity to go see the devastation and regrowth that is happening up there. But this old photo I took from a trip last year will have to do for now! I took this one with my fisheye lens for the slightly more rounded look of the valley. Gorgeous! 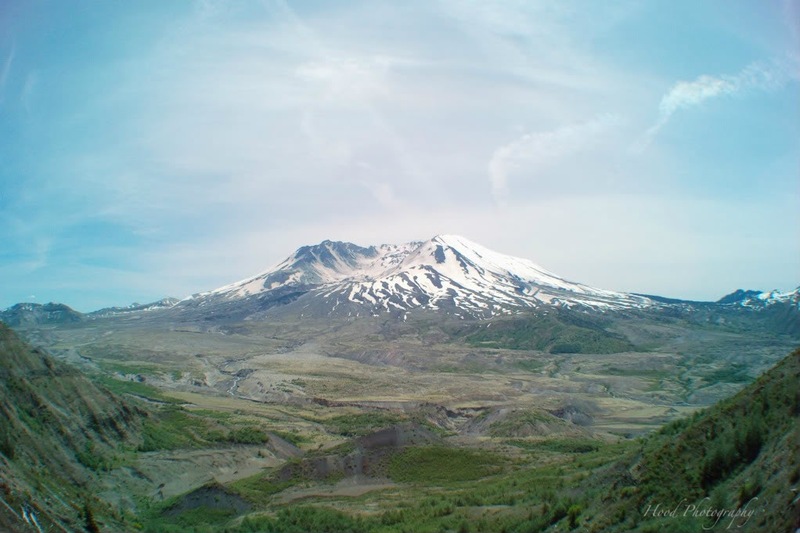 All the times I have been to Portland I have never been to St. Helens! Beautiful! So sorry you don't get to go this time around. What a terrific capture...National Geographic worthy! I would love to visit there. Beautiful picture! I got up there, partially, a couple weeks before I moved east. I didn't go all the way to Johnston Ridge but still got some good shots from where I stopped. I hope that whatever you have planned instead of St. Helen's is just as much fun. beautiful view of one of those places I still need to visit! Thanks for sharing on SWF! great shot of the volcano. wow! what a gorgeous photo! it look like a postcard. Maybe because we don't have snow, i am very much fascinated by the snowcapped mountains, which i've only seen twice. One was in Turkey and when we had the tour at the foot i feel so really privileged and blessed. The other one was while on an airplane on top of Italy, but seeing it at that angle is much more awesome. It exudes some mystery that eludes explanation. Beautiful! Would you believe that living in Eugene and La Pine my who life that I have never been to Mt. St. Helens? I remember when it blew it's stack though ... we lived in Eugene and our house had a concrete foundation. I was pregnant and resting on our waterbed and I felt the ground move ... it was the mountain blowing her top. And all that ash later on! I have some pretty pictures of The McKenzie River Valley posted today if you have time to check them out; I think that you will like them. Good shot! We were up there on May 19 and I'll have to dig out those pictures to compare this one with the ones I took. I'd be happy to share them with you.